Can you imagine the world’s oceans filled with carnivorous reptiles? Dinosaurs are the most famous members of the age of the reptiles. However, many of the original reptilian fossil discoveries that initiated the idea of the age of reptiles were not dinosaurs. They were instead reptiles that lived in the sea. In the late 1700s and early 1800s, naturalists discovered mosasaurs, ichthyosaurs, and plesiosaurs, three large groups of aquatic reptiles (see my recent article: Mary Anning: Plesiosaurs, Pterosaurs and the Age of Reptiles). Hundreds of these species once existed. Surprisingly, discoveries of these extinct marine reptiles are nearly as common as that of new dinosaurs. These amazing creatures present serious challenges to the 6-day creationists paradigm but viewed from a deep time perspective add to our awe of the extent of God’s creation. The Tyndall Glacier. It is in the rocks exposed here that the Ichthyosaurs were found. PR image. Last week, the Geological Society of America published research describing the remains of 46 complete or nearly complete ichthyosaurs that were found in rocks exposed by the retreating Tyndall Glacier in the Torres del Pains National Park of the Patagonia region of southern Chile. The ichthyosaurs comprise at least four species. These fossils were found in rock that had been previously identified as Early Cretaceous in age (about 146 million years old). Along with the ichthyosaurs, fossils of extinct ammonites, fish and numerous plant remains were recovered. These fossils are consistent with a marine environment near an ancient river delta where plant debris would have washed out into the ocean and sunk into the deep ocean. 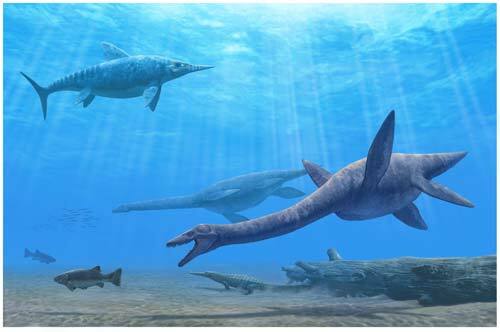 The authors of the paper propose that these ichthyosaurs fell victim to periodic underwater landslides into the deep abyss. These landslides carried them down into deep waters where they were preserved in low-oxygen environments. The preservation of these ichthyosaurs is so good that some soft-tissue impressions are visible, along with one embryo. These ichthyosaur fossils must represent just a tiny fraction of the preserved specimens at the site. The 46 fossils found are just the ones easily accessible in the rock walls, left behind by the retreating glacier. Although the site has very difficult field conditions—many hours of travel followed by hiking just to get to the site under typically in poor weather conditions—Tyndall Glacier is likely to become one of the best fossil sites in the world for marine organisms of this time period. Like the fossil beds of the Jurassic Period from England, fossil locations like Tyndall Glacier continue to confirm the existence of a past age much different than todays. In that age, reptiles ruled not only the entire land (dinosaurs and pterosaurs), but also all of the sea (mosasaurs, ichthyosaurs, plesiosaurs). Interestingly, there are more described species of extinct marine reptiles than there are of living and extinct cetaceans (whales and dolphins). 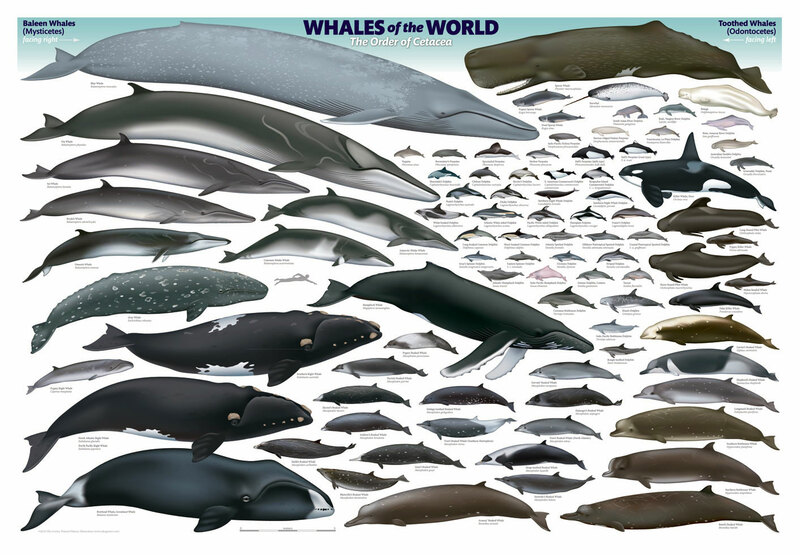 The image below shows all 88 living cetacean species, but there are more than double that number of extinct species of cetaceans. These marine reptiles are found in marine rocks of the Triassic/Jurassic/Cretaceous periods, but then go missing* from the rock record at the same time the dinosaurs and pterosaurs disappear on land. An intensive search of the literature reveals not a single case of a cetacean fossil found together with a sea reptile fossil. I haven’t even found evidence that any cetacean has been found in the same general rock layer as a great sea reptile. This pattern—where great reptilian fossils rest in lower rock layers than mammals and living reptiles fossils—was recognized in the 1800s before Charles Darwin’s famously proposed his theory of natural selection. In the 150 years since Darwin, paleontologists have examined rocks from thousands of additional locations in the world. They have found that this layering of sea reptiles and cetacean fossils holds true everywhere that they have looked. Imagine a world in which all the oceans were filled with hundreds of species of sea reptiles, occupying similar habitats as those occupied by cetaceans today. The fossil record overwhelmingly implies that these reptiles were the top predators of the day in the sea and that cetaceans did not exist concurrently with them. Figure 4. Section of ichthyosaur-bearing sediment unit at Tyndall ice field: From research paper by Stinnesbeck et al. 2014. http://dx.doi.org/10.1130/B30964.1. Answers in Genesis recently unveiled a new dinosaur fossil exhibit at the Creation Museum. They claim that the exhibit gives evidence of a global flood. They also claim that humans lived at the same time as dinosaurs. Yet the fossil record challenges these claims, with respect to dinosaur fossils (see my articles here, here and here). However, I think that marine reptile fossils – comprising ichthyosaurs, plesiosaurs, and mosasaurs – provide as great a challenge to 6-day creationist’s flood-geology paradigm as dinosaur fossils. No doubt, young earth creationists will claim that the discovery of 46 ichthyosaurs is further proof of a recent global catastrophe (aka, a worldwide flood). However, considering the geology of the Tyndall Glacier site, the hypothesis of a global flood catastrophe turns quickly into an indictment rather than a confirmation of creationist assumptions. 1) Interspersed layers of sediments formed under a variety of conditions. The 46 ichthyosaurs are not found jumbled up in thick sediments, as we would expect with a global flood. Rather, we find them in layers of sandstone that display characteristics of having been deposited under different conditions. 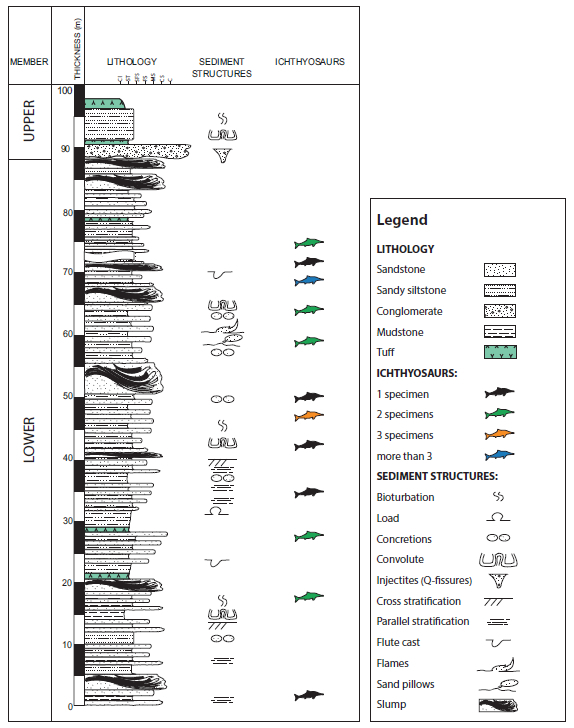 Figure 4 above shows an overview of the geological section in which these fossils are found. Most notable are sediments that resulted from “slumps.” These slumps are layers of sandstone that are the result of large amounts of sediment from an underwater mountain slide. After such a slide, there would have been long periods of slow deposition of sand and organic material. The problem for creationists is that, in a recent global flood, this entire section of sedimentary rock would have been deposited very quickly – days to weeks. It would not be expected to show signs of multiple discrete slumps and bioturbation—which is organisms living on the ocean bottom, disturbing the sediment—if fast deposition of layers were occurring. 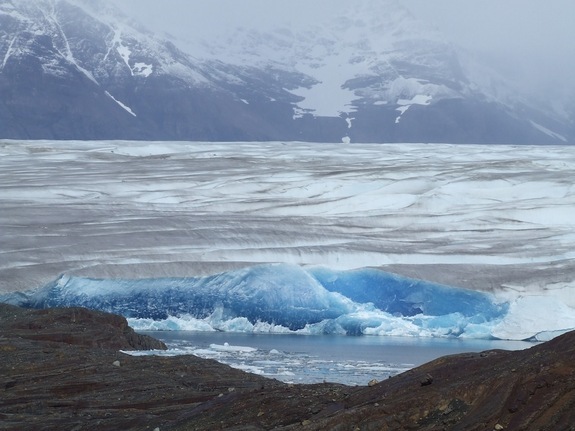 The appearance of ichthyosaurs, due to local catastrophes occurring periodically over time, is completely consistent with the findings at Tyndall Glacier. However it is expected with a deep time understanding of earth’s history. 2) Complete ecosystem preservation shouldn’t occur as a result of a global flood. Creationists often try to explain specific fossils, like the ichthyosaur fossils, in two ways. They say that fossils either sorted themselves out, by their differential ability to survive the oncoming flood water, or they were sorted by the global flood waters themselves. But what they don’t often address are entire communities of organisms that are preserved together. Why would we find such communities together in multiple places on Earth? 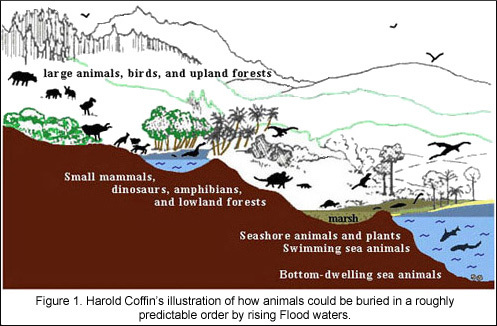 Creationists are forced to propose that, during a catastrophic global flood that deposited hundreds of feet of sediment in rapid succession, organisms that look like they form a complete ecosystem were somehow all preserved together. But why should this be the case? Why should a specific kind of extinct ammonite be found in the same sediments as ichthyosaurs on multiple continents? How would a global flood consistently sort small shells, fish, and ichthyosaurs out together and somehow avoid mixing in any dinosaurs or and mammals, especially seals and cetaceans? Notice the ichthysaur image above and how similar it looks to dolphins. 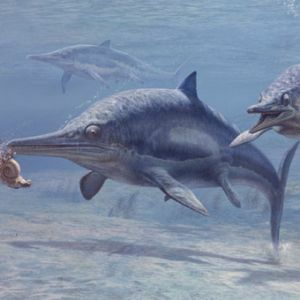 If fossils of ichthyosaurs and dolphins can be found on every continent why would they never be found together or at least in the same layers of rocks? The idea of a global flood is of massive chaos and destruction brought on t he world, not order. Flood geology models fall well short of providing any plausible hypotheses for these fossils. 3) No cetacean fossils found with large marine reptile fossils. * Let me repeat this for emphasis. Cetaceans have never been found in any rocks that most 6-day creationists consider to be the result of a global flood – rocks dates before the K-T boundary. Put yet another way: all the marine reptiles we are talking about here are found exclusively in rocks that creationists consider flood deposits. Why? Surely, if oceans had been full of marine reptiles and cetaceans, some of them would have been killed together in a global catastrophe. Both are air-breathing animals that came in many sizes and had many different food preferences. Why would a global flood cause every single sea reptiles to perish and be preserved in sediments while not killing and/or preserving any cetaceans? In particular, why would we find multiple species of marine reptile fossils preserved together at places like Tyndall Glacier, but no cetaceans or even any other mammals? More perplexing for 6-day creationists is that cetaceans are abundant in post-flood rocks with over 100 extinct species identified from relatively recent rock formations. So why would cetaceans be so vulnerable to dying and being preserved in post-flood local catastrophes, when they apparently did not perish in a global catastrophe a few years earlier? All creationists explanations for the fact of the fossils record amount only to ad-hoc conjecture with all the signs of pseudoscience. Marine Reptile Fossils are a Small Part of the Awesomeness of God’s Creation! In a recent talk, I responded to a question about the magnitude of the fossil record with the following observation. There are septillions of stars and likely as many planets such that no person has or every will see them all (More Planets than Stars: Exoplanets and Our Little Blue Ball). Likewise, there are so many species of life on earth alive today (10 to 20 millions) that many will never be seen by any human. God’s creation is far larger than we can ever hope to fully realize. In the young earth conception of creation every single fossil species must have been a contemporary of humans. But a deep-time perspective on creation shows us the magnificence of God’s creation that he created “for his glory,” and not just for man. Just as we will never see every planet that he created, many species that God created will never be observed and thus never appreciated by man. God delights in his creation—all of it, seen and unseen. Remember Job: God reminds Job of his inability to fully understand or comprehend slivers of the created universe. God’s creation is too large to be contained in a mere 6000 years of time. 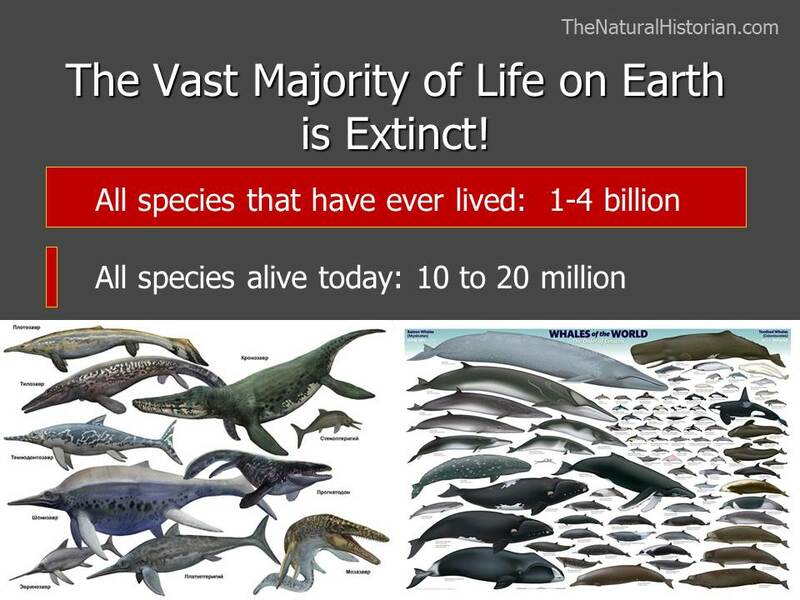 It is estimated that over a billion different species have lived on earth. All of those species could not exist at one moment in time, or the ecosytems of the earth would be overcrowded with species occupying the same niche. Rather, what we see today is a small fraction of the totality of God’s creation. The more we study fossils and understand the past, the greater our appreciation for God’s creativity. It’s as if a single fiat creation in the recent past could not have held all of his creativity. Rather he chose to have the large pallet of time to paint his entire creation. The great marine reptiles once had the Earth’s oceans to themselves to roam and rule. But they were not to be the only magnificent creatures to occupy the oceans. Rather, their loss from the world’s oceans allowed for an entirely new group of magnificent creatures, the whales and dolphins, to take on the same role as the former sea reptiles. *Sea/marine reptiles refer to the members of the mosasaurs, plesiosaurs, and ichthyosaurs. These are the groups that went extinct before or at the K-T boundary 65 million years ago. Today there are still a few marine reptiles but these are a snake, turtle and crocodile none of which is related to any of these marine reptiles of the Mesozoic Era. W. Stinnesbeck et al., Institut für Geowissenschaften, Ruprecht-Karls-Universität Heidelberg, Im Neuenheimer Feld 234-236, 69221 Heidelberg, Germany. Published online 22 May 2014; http://dx.doi.org/10.1130/B30964.1. Great essay. As a triassic period lover, I could only quibble with the statement “However, many of the original reptilian fossil discoveries that initiated the idea of the age of reptiles were not dinosaurs…” I don’t think any of the marine archosaurs were dinosaurs in the technical sense. I could be forgetting something though. Keep up the good work. No it does not challenge 6-Day Creationism. If facts and reason could challenge 6-Day Creationism, it would have died when Hutton published his description of Siccar Point. You definitely have a point there. Just saying “challenge” suggests they have something to challenge. I wish my dad could be convinced to read your blog. He doesn’t understand why I think that accepting millions of years and evolution only enhances the wonder of creation, rather than detracting from or cheapening it. It is so vast and magnificent and like you said, bigger than we can comprend or even know all of, created solely for his own glory and enjoyment of his created universe, and to try and collapse it into a flat, two-dimensional 6000 years view seems to be a rather soulless way of looking at it. For one, it doesn’t fit, so you have to discard so many things that are amazing in their own right, and for two, it robs the depth and complexity of splendour from the creativity. I notice that a current post on ICR FB that is taken from an article in their current (August 2016) Acts and Facts publication uses the photo of the ichthyosaur fossil that appears on this blog post, with the footnote: “Ichthyosaur fossil. Image credit: Naturalis Historia”. I wondered if you knew that and also where the photo came from or was taken. Thanks for letting me know. Sloppy on my part unfortunately. I see that I did not have proper image attribution. That was a wikipedia image and I’ve added that to the caption now. Since I did not have any attribution I guess they assumed I had taken the picture. I’m still surprised they would mention it when the image is easy to find elsewhere.